6 Eye Fixes in Time for the Holidays! Meaningful Beauty® Advanced Formula Lifting Eye Crème: If puffiness, dark circles and fine lines are problems, the extra-rich antioxidant formula in this eye cream helps to revitalize the skin and smooth wrinkles. Key ingredients include Microencapsulated Melon Complex, Ceramide, Grape Seed Extract, Hyaluronic Acid and optical diffusers. Meaningful Beauty® Advanced Formula Lifting Eye Crème has a nice, soothing texture and wasn’t irritating to my skin. 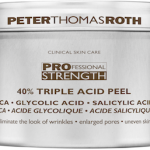 Available at MeaningfulBeauty.com, $60. Peter Thomas Roth Instant FIRMx Eye is a temporary skin tightener that firms and smooths the eye area to instantly minimize crow’s feet, fine lines, deep wrinkles, bag and puffiness. This is a great product to use after a long day and before hitting the after-work parties or to minimize the damage from the night before. A combination of peptides, antioxidants and tightening ingredients work together to give you noticeable results, fast. Dr. Oz proclaimed he uses Instant FIRMx Eye every single day for his undereye bags, which have only gotten worse with age. After trying it, I can see why! Available at Sephora , $32. 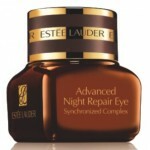 The Estee Lauder Re-Nutriv Replenishing Comfort Eye Creme is the perfect answer to dry, fragile, dehydrated skin around the eye area that makes you look older. You’ll definitely notice that skin feels more supple, comfortable and looks more restored. The Re-Nutriv line has always been about luxury skincare and this eye cream is a companion to new Re-Nutriv Replenishing Comfort Creme moisturizer, which helps to repair, recharge and restore skin’s appearance. 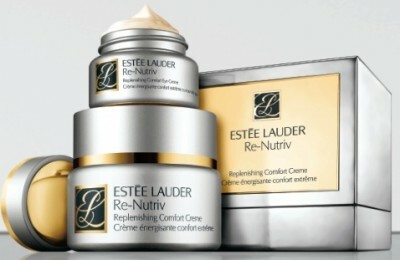 Re-Nutriv Replenishing Comfort Eye Creme is available at Estee Lauder counters and online at EsteeLauder.com, $80. 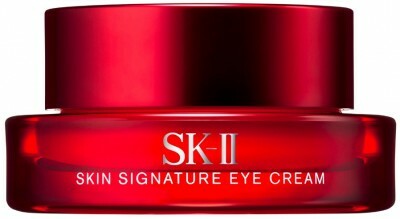 Skin Signature Eye Cream from Sk-II is currently my new favorite eye cream. My eye area is looking smoother with a noticeable improvement in dark circles and puffiness. This rich cream is formulated with Pitera, SK-II’s signature anti-aging ingredient and antioxidants, including Oli-Vityl and Niacinamide. What I love about this multi-tasking wonder is that Skin Signature Eye Cream feels like velvet and skin just drinks it in. Concealer? What’s that! Available at SK-II counters and SK-II.com, $110. Talika Eye Decompress is like a spa treatment for your eyes. The moist towelette instantly transfers refreshing and soothing ingredients to the delicate skin around your eyes in minutes. The cooling blue solution, rich in anti-oxidant vitamins A and E, refreshes, revitalizes, and relaxes your lids. With natural botanical extracts, it helps to reduce puffiness and dark circles in the morning and soothes tired eyes at night. I love this because it’s totally portable, quick and the Rose Petal Extract is so relaxing. 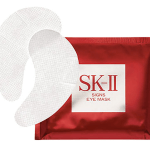 Talika Eye Decompress is available at DermStore.com , $30. All these products to improve the area around the eyes, but I want glamorous eyelashes, too. For that, I would recommend Obagi ELASTILash Eyelash Solution. This eyelash enhancer is a non-prescription formula that is applied to the base of the eyelid nightly. I didn’t have any issues of sensitivity, itching or darkened eyelids using ELASTILash Eyelash Solution and I got results rather quickly; within a few weeks. Eyelashes look fuller and of course, longer and prettier. Obagi ELASTILash Eyelash Solution is available for purchase at dermatology, plastic surgery and other aesthetic physician practices, $60. 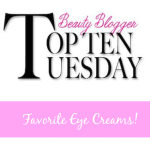 Do you have a favorite eye cream or eye treatment? Let me know in the comments!